MORE THAN 36 DIFFERENT ROBOTS. "Lift the hood" of the digital revolution, understand the programmed machines. The programmed objects are everywhere and it's just the beginning. Without a thorough knowledge of computers, our children are just the consumers, not to mention the prey, of programs structured by other programmers (smartphones, Facebook, Google, smart cars ...). To master the digital world, you have to understand the mechanisms. "Our kids will be programmed or know how to program." One can follow a musical education without wanting to become a professional musician. Similarly, Algora school's goal is not to train programmers. It's about developing children's abilities and helping them understand the futur world around them. What are the skills developed in children in an Algora school ? Each Algora course allows the child to solve problems by himself. When the robot works, the problem is solved. A program never works the first time. The child must understand why the behavior of the robot is not what he wants. And criticize his reasoning. This skill is poorly developed in the classical French education system. Algora workshop's aims are simple, but can be solved in different ways. Each child develops their own solution, develops their own style. 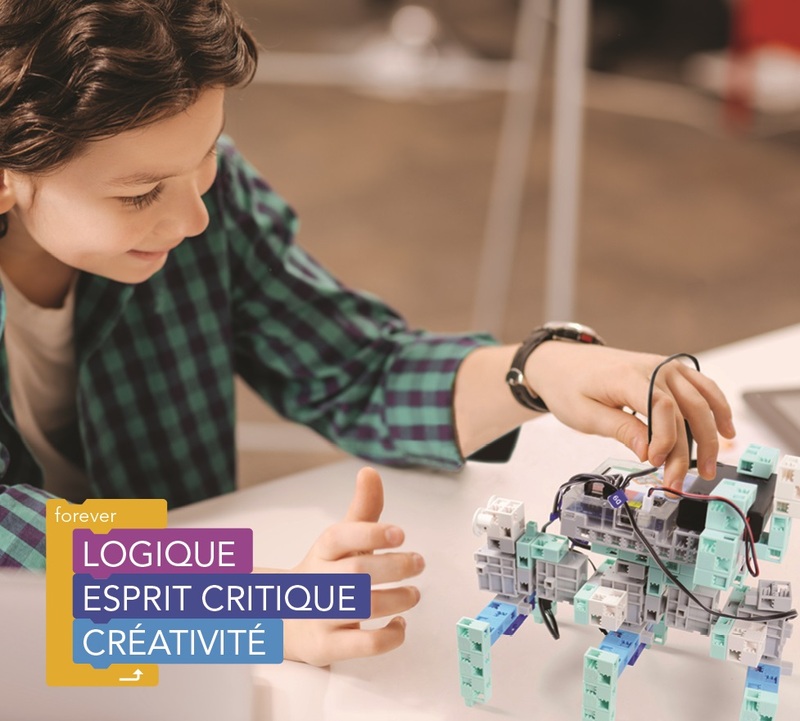 Algora school offers a 3-year course build to acquire the basics and perfect itself in the art of programming robots (more than 36 robots in total!). 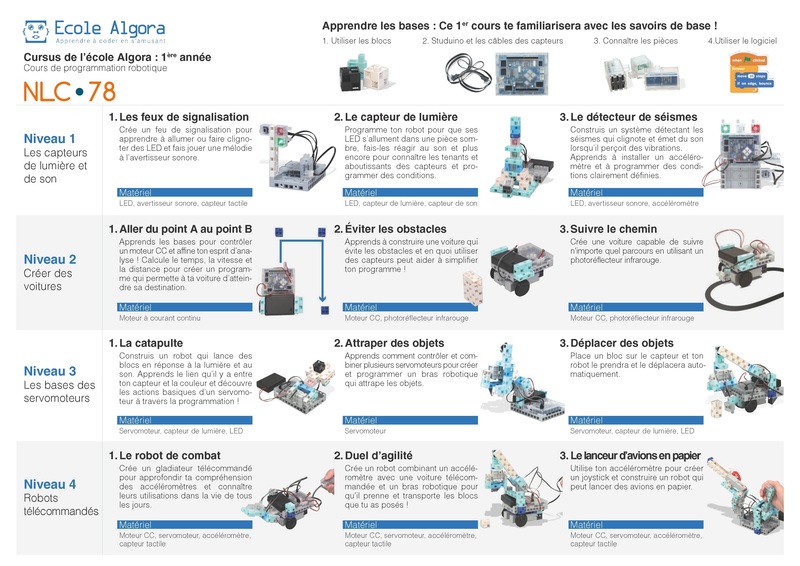 To guide them in each class, students have an Algora box that includes all the parts needed to build the robots. The child can follow the curriculum in whole or in part, there is no obligation to complete the three years. 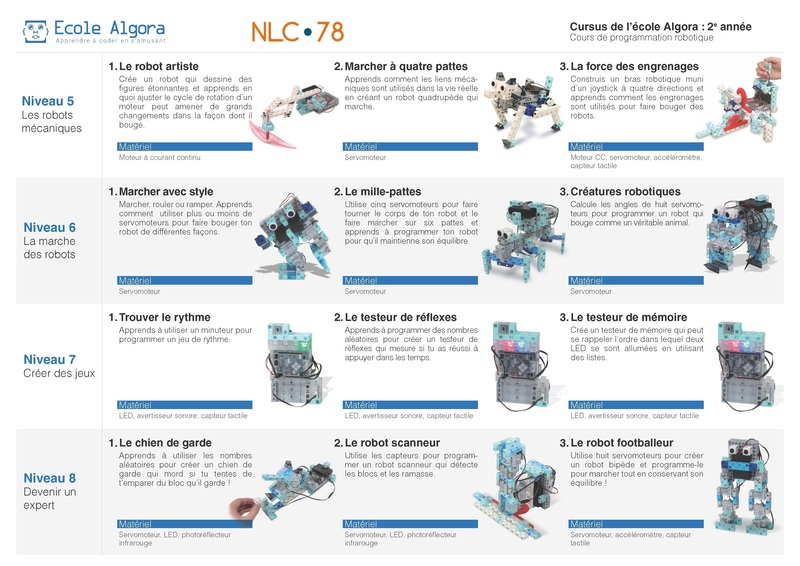 In order to build and program interesting robots, the Algora's students are taught different subjects such as the functioning of electronic sensors, mechanics, biology (which makes it possible to understand, then to program, human walking and animal walk), wireless transmission or even gravity ! 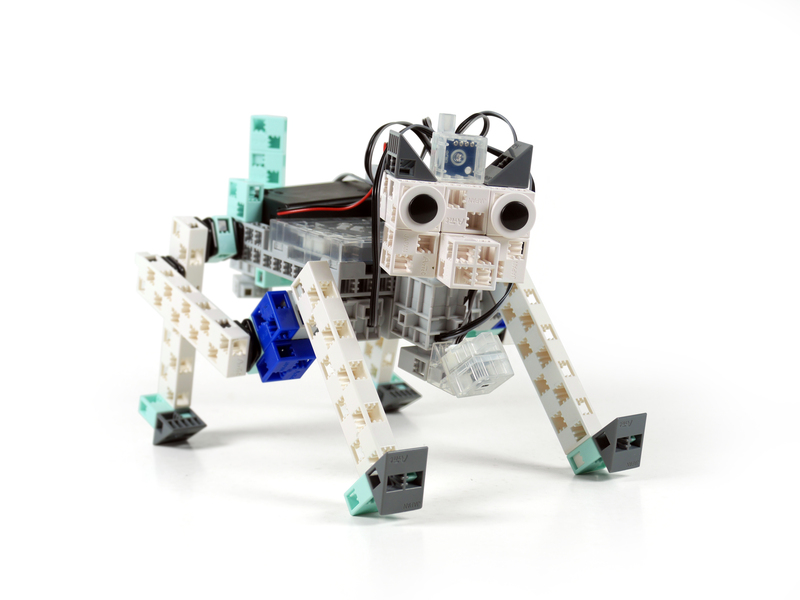 All these areas are approached from a concrete point of view, for example, with specific goals that interest the child: build more and more advanced robots. From the first lesson, the child comes home knowing how to do things that his parents, in the vast majority of cases, do not know (an anti-collision car, an autopilot, etc.). Why learn to program ? Read, write, count .. and program ! The world changes.Tomorrow 's job are not those of today and require an understanding of the fundamental principles of programming. Digital objects, programmed machines, tablets, Facebook, Google ... surround us. Faced with these objects, our children should not be passive consumers - they must understand them, control them, master them to be able to transform their world. Our children will know how to program or will be programmed. Developing programming skills emphasis intelligence, critical thinking, creativity that are useful for all life. Would you know who this child is ? 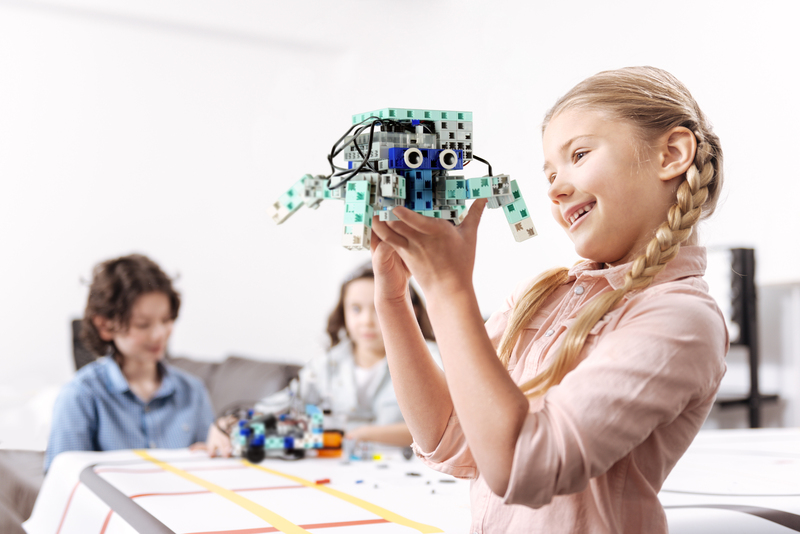 Algora offers a three-year curriculum, program to acquire the basics and skills building in the art of programming robots.